Who will decide which project wins Open Culture Days? 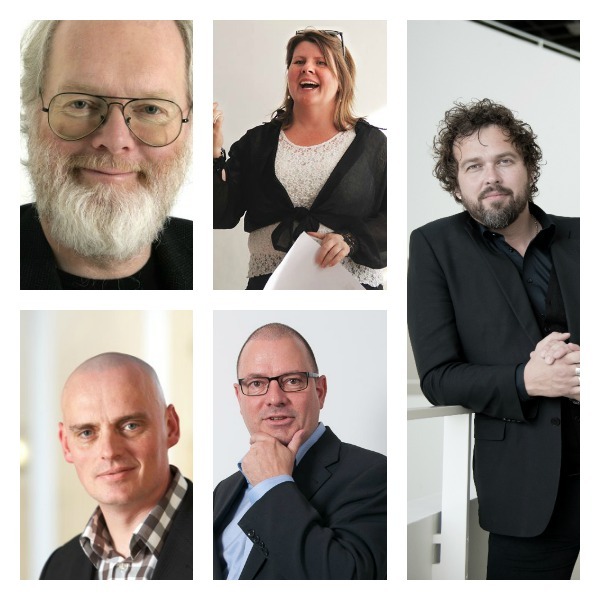 Deciding who will win Open Culture Days will be a jury of judges all representing their own field of expertise. The members of the jury have great experience working with ICT, cultural change and entrepreneurship. Preben Meyer: (top left) Preben Mejer was a true pioneer within the IT sector in Denmark where he started the country’s first computer supplier company DanaData, created TDC Denmark and has since won numerous prestigeous awards, as one of the most influential people in the IT sector in Denmark. Bo Fristed: (left bottom) Bo Fristed is the head of ITK in Aarhus Municipality where he strives towards making Aarhus a leader within the smart city community. He has a tremendous understanding of new technologies and is an active and accomplished visionary in the field of Open Data. Sussi Bianco: (top middle) Sussi Bianco is an accomplished consultant working with entrepreneurship, Open Data and business strategy among other things. She’s a true expert when it comes to making things happen – especially in the field of IT entrepreneurship. Peter Lange (bottom middle): Peter B. Lange is Executive IT-Architect with IBM with more than 25 years of international experience in IT from start-ups to major international corporations. Over the last decade he has worked with the development and implementation of IBM’s global offerings for Smarter Cities and engaged with cities to drive innovation.